If you, or someone on your team, is responsible for work that falls in the TD realm and have had these kinds of assignments for less than three years, then this group is for you. In November, the community discussed the ATD Competency Model (https://www.td.org/certification/atd-competency-model) and how it impacts the work we do. Over the next several months we will be taking a deeper dive into each of the competencies, starting with the three that relate directly to the “Associate Professional in Talent Development (APTD)” Certification: Instructional Design, Training Delivery, and Learning Technology. The New to TD Community of Practice currently meets in the training facilities of Koorsen Fire & Security, who share their building with a very impressive museum of firefighting equipment. The collection is very impressive in both size and presentation, and is well worth a visit if you have the time (just call ahead to set up a tour)! 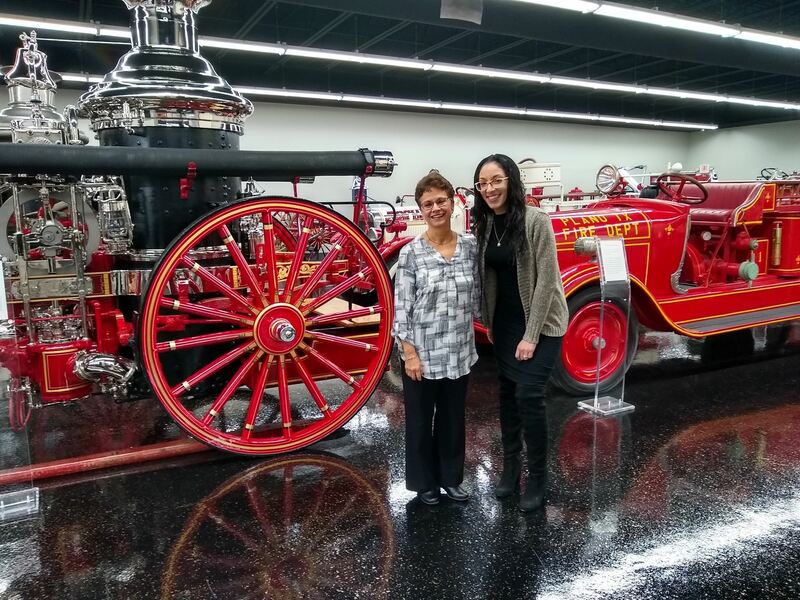 Pictured below with some of these very old fire trucks are New To TD Community of Practice Leader, Susan Crawley (left) and Koorsen Instructional Designer, Paige Brown (right). Advance registration can be completed here - please join us!